Salve Jorge is an authentic Happy Hour bar. 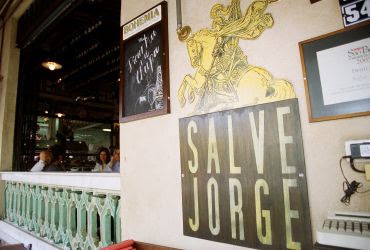 Despite the complement's name Salve Jorge, Cervejaria e Galeto (Salve Jorge, beery and cockerel), most of the public goes for the traditional bottle beer after working time. The bar is an extension of the ancient Salve Jorge on the city center. The environment has several references to the name Jorge (George), there is a painting of St. George on the wall and some pictures of famous Brazilian artists. The great specialty of the menu is the cockerel meal plus bottled beer served in a bucket (calm down, the beer doesn't come inside a bucket. It means some bottle of beers inside a bucket). Clients named Jorge (may be George can be useful) can get discount depending on the day of the week. When: Every day. Monday to Friday, from 5pm to 2am. Saturday, from midday till 3am. Sunday, from midday to 2am. 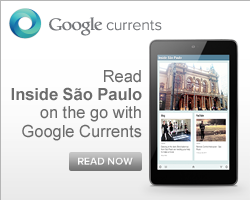 How much: About R$ 40 per person.